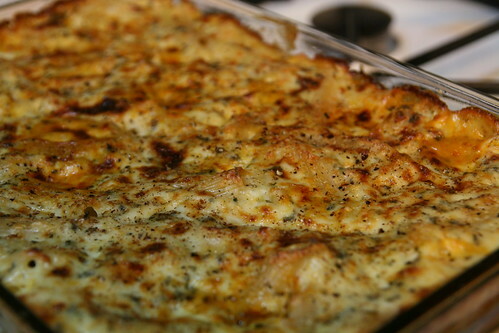 In this terrible cold there's only one thing that really warms my stomach... baked pasta. 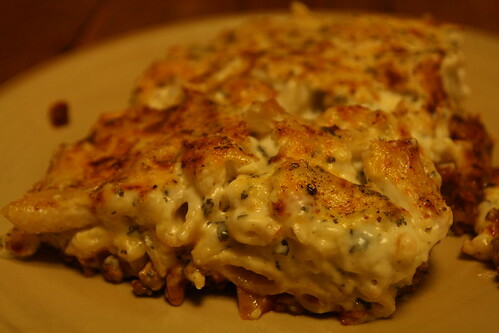 So the other night I set out to make myself a Pastitsio. My parents used to make it when I was a child and it's the sort of dish that brings back happy memories of family life in Blighty. Our family recipe is a slightly bastardized one, no pasta on the bottom. Just a layer of meat sauce, then a layer of pasta surrounded by a cheesy béchamel sauce. 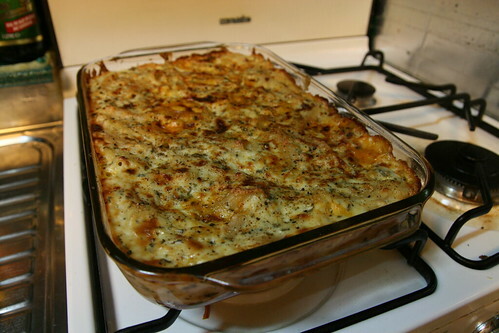 Finally the whole thing is sprinkled with cheese, black pepper and nutmeg, and baked in the oven for forty five minutes.